Most mammals give birth to live young. The only known exceptions are the platypus and spiny anteater. 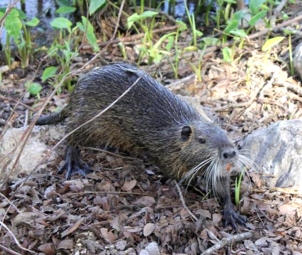 They lay eggs and are known as monotreme mammals! Opossums have been around for 70 million years! They eat almost anything including snails, slugs, insects, dog food, cat food, and people food. Opossums are marsupials. 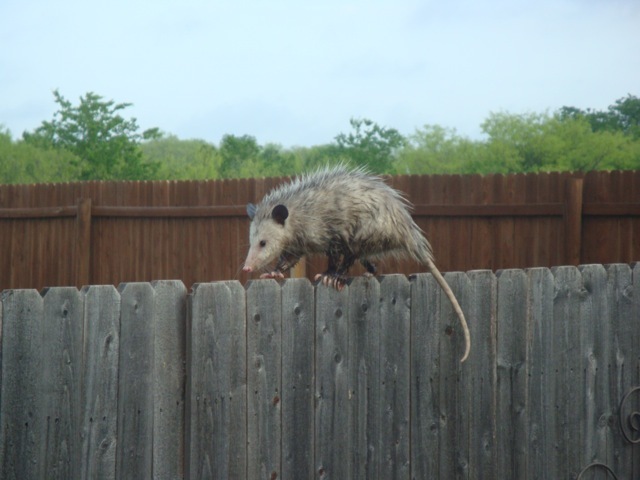 Studies show opossums are smarter than dogs. They are also more resistant to rabies than any other mammal. hiking in the woods behind his house. People often fear things they don't understand. The fear of bats is called chiroptophobia. YOU can help, too! It's EASY! Why do we want to help bats? Bats are the only flying mammal! Bats are pollinators and we NEED pollinators to have food! Bats are suffering from loss of habitats. White nose syndrome has killed more than a million bats since 2006. Wind energy is taking a toll on the bat population! Only 0.5% of vampire bats carry rabies. This is a certified bat house from Lone Star Woodcraft. I kept the pole vertically straight with a level! One 80 lb bag wasn't enough! We used an 80 lb bag of quick set cement in our whiskey barrel. We added rocks from our yard to fill up the whiskey barrel. Our yard is solid rock, so we decided to cement our bat pole in a whiskey barrel. Most bats have GREAT eyesight! 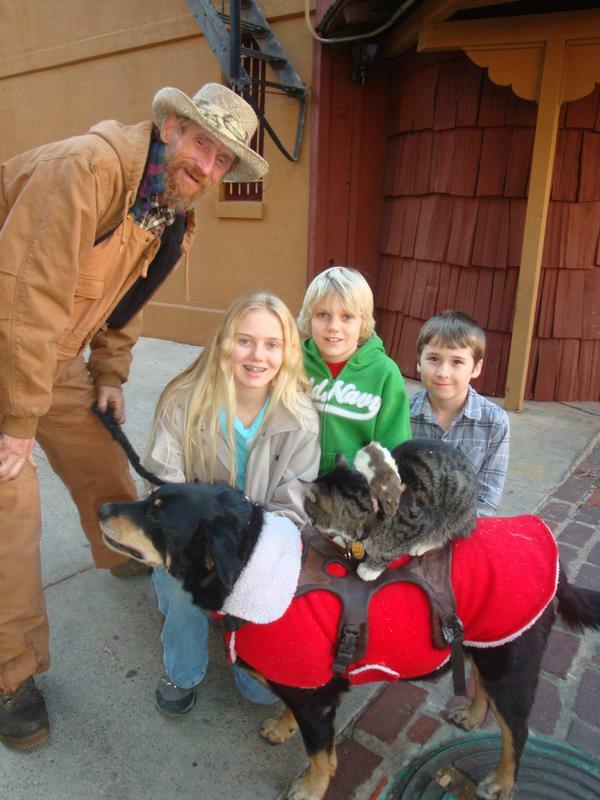 Courtney and I met Gregory Pike, Booger, Kitty and Mousey in Ft. Worth, Texas in December 2010. Mr. Pike says, "If a dog, cat and a rat can be friends, can't we all put aside our differences and just be friends?" Don't all dogs chase cats, and all cats chase rats??? 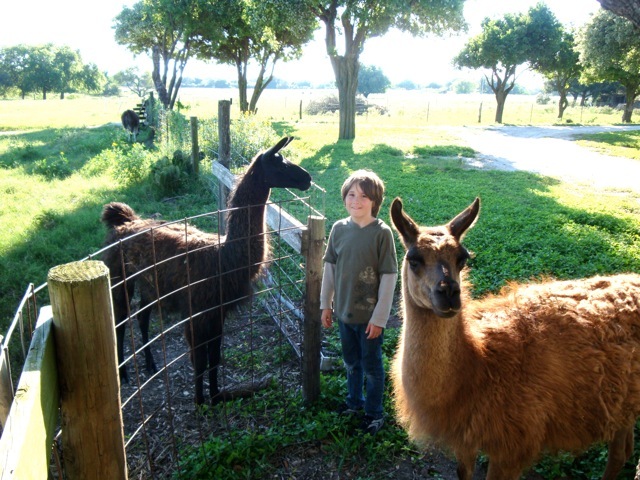 Mr. Pike has worked in many different animal rescue centers and as an animal trainer. He travels around the United States and talks to people about respect, peace and tolerance. Booger, Mr. Pike's dog, raised Kitty. Booger thinks Kitty is her baby! Kitty was raised around a bunch of different animals, including rats. Mr. Pike has several rats that take turns riding on Kitty as "Mousey." He says rats will do anything for food, so they're easy to train to ride on Kitty's back. OK - so what's the story? Check back soon! You never know when we may add another cool critter story! Vampire bats don't live in the United States. Vampire bats can't turn you into a vampire. There are 3 species of vampire bats. Vampire bats are tiny, weighing only 15 - 50 grams. Some bat species can live up to 40 years, but the vampire bat lives up to 12 years. Vampire bats have an enzyme in their saliva that is used to treat people who have had strokes. The enzyme dissolves blood clots! A flying bat is usually a healthy bat, or it wouldn't have the strength to fly. If you see a bat on the ground, it's probably sick ...don't touch it. Most vampire bats that get rabies usually die before they're able to spread the disease. So, it's EXTREMELY RARE to get rabies from a bat! And if you live in the United States - where it's easy to get treated for rabies - it's even MORE RARE to die from rabies! Bats are not so creepy after all! Now that we know bats are not so creepy - and that they help us in many ways - we're ready to help bats! Our bat houses are ready for bats! We don't have to use anything to attract bats. Bats will find these houses on their own. We have one house facing south and the other facing north -they're about 15 feet high. Since we have our houses up before the bats return to our area in the spring, we may have full houses this summer! ~Thank you Nicholas and Olivia! We love Durian! 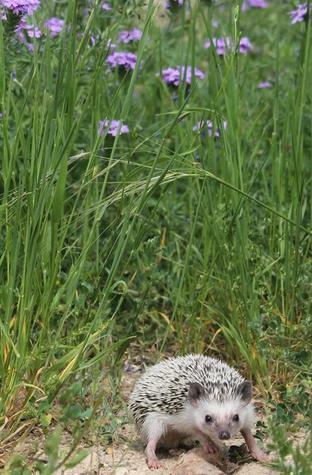 Hedgehogs are small, nocturnal mammals with a unique defense mechanism. They have about 5000-7000 quills that stand out when hedgehogs get scared. 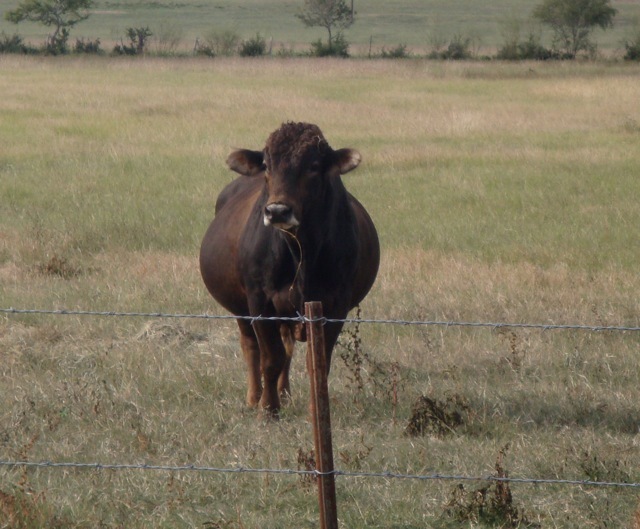 They can tuck themselves up into a little ball that protects their soft underbelly. Hedgehogs also hiss to scare away predators. They are smart and can get bored and lonely. When kept in captivity, they require a large habitat where they can roam around at night and daily attention. Our hedgehog, Durian, has an exercise wheel that uses every night. Gus, our short-tailed opossum, is indigenous to South America and is a welcome house guest. 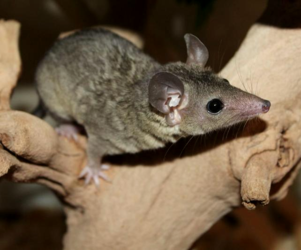 Short-tailed opossums eat insects, spiders, small snakes and rodents! Gus has a prehensile tail - a tail that can be used to hold onto branches, etc. Dolly (Durian's mother) pictured with her babies & Courtney, Erik and Timmy Milfeld. 'Durian' is named for a fruit from Thailand. The fruit has a thorn covered husk that feels a lot like hedgehogs!